Featured Presenter Marc Rosenbaum, P.E. is an “intelligent, knowledgeable and inventive engineer”, a dynamic speaker, and a featured presenter at many building energy and sustainable building conferences. David Joyce is the President of Synergy Construction, Leominster, MA. Synergy specializes in energy efficient homes and remodeling, and has completed over 30 deep energy retrofits. David Legg Dave managed the Deep Energy Retrofit pilot program during his career with National Grid, and will provide an overview of the results and analyses of the MA Deep Energy Retrofit Program pilot program. 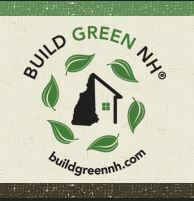 Sponsorship from NH Better Buildings, Liberty Utilities, Unitil, and Efficiency Training Program enables a discounted $75 registration fee ($200 workshop value) ($5.12 online registration applies ).